It’s date night, and you and your man are dressed to impress. You reach up to give him a kiss, and you’re met with a face full of prickly stubble. But you just bought him new razors! His face should be smooth as butter with all the money you spend on those razors. You spend so much time at the store comparing razors, contrasting the quality of blades, how good the gel strip looks, how flexible and durable it seems. You hold the various brands in each hand, put one down and pick up another; there are just so many options, and all so expensive. And just when you think you’ve found a good one, the next time you find a different brand that looks even better, so you switch and try that. But now, that time has come to an end, because Harry’s is here! With five durable and sleek German engineered blades, these razors provide a close, comfortable shave with a gel strip for even smoother skin. Combined with a precision trimmer to reach tough places, they are the high-quality precision razors that will give you that crisp shave every time. However, like you, I too was skeptical of these new razors, so I thought I’d give it a try and get them for my man. Plus, with a free trial offer, how could I pass up a chance to try them? Harry’s offers two amazing, special razors with high-quality steel blades—the Winston and the Truman. The Winston razor is designed from a lightweight aluminum with the handle coated in chrome with rubber grips for control. The Truman razor has a full rubberized textured grip and a weighted core for more control. Personally, I liked the Truman razor because it has a better grip and control when your hands are wet, but I know my man liked the Winston razor more because it looked sleek in all silver metal. Both were great though, and they both have the same blades. And for an even softer, smoother shave, the foaming shave gel and post shave balm are both recommended for that gentle and crisp shave. The post shave balm left my man’s face very soft and smooth, and he loved it! 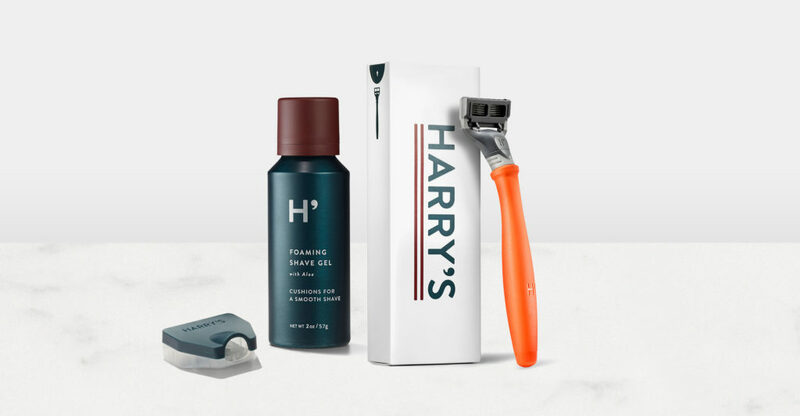 With a variety of grooming supplies and boxed sets, Harry’s offers a really high-quality shave. And with refill blades of just $2 and free shipping right to your door, you don’t even have to waste time at the store anymore! But I was curious how Harry’s can be so great, so I dug a little deeper. I found that Harry’s maintains high-quality blades by owning the entire factory to ensure the blades are made precisely. 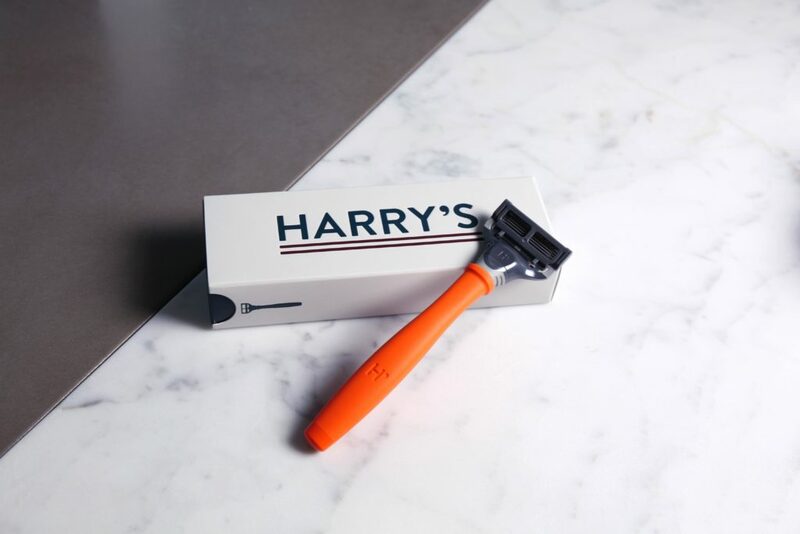 With German engineering of grinding high-grade steel into blades and designed for the best shave, Harry’s delivers exceptional razors and shaving products at an unbeatable price. They are in control of the entire process from design, engineering and all the way to customer satisfaction, and this helps keep the cost low by not including bigger companies. Just as well, with Father’s Day right around the corner, give dad a gift he’ll love with the Father’s Day Shave Set. It includes a sleek, grey Truman razor with a razor stand, shave gel, three extra blades and a blade cover. You can even personalize the razor stand with a sweet message that he’ll never forget. So, stop wasting time at the store buying razors that are never good enough, and try Harry’s for free today! It was such a great idea and so convenient with free shipping to my door when I need, and the best part—my man absolutely loves them too! Previous Offer: Time to get your summer beach body ready!